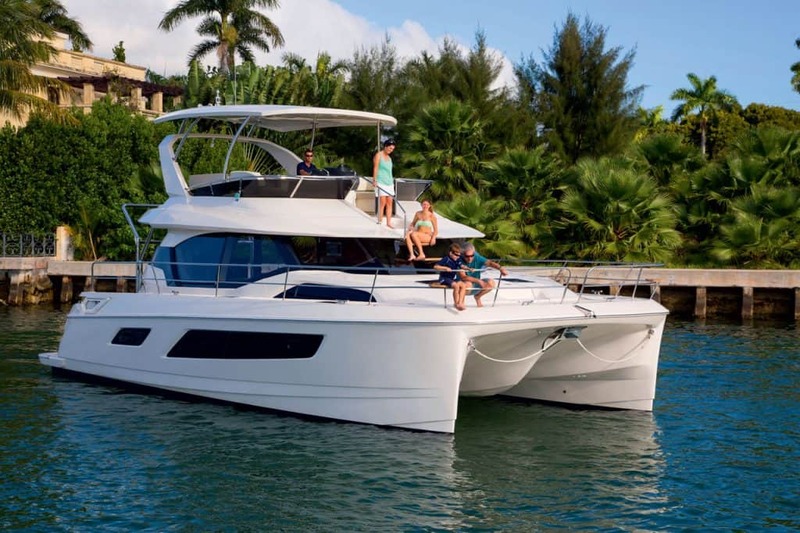 Aquila power catamarans represent exciting evolution on the market today offering practicality and comfort with trend setting innovation, quality and design. Both inside and out, this catamarans are designed to provide the perfect cruising vessel whether you are crossing oceans or traveling the Great Loop, living aboard or exploring worldwide destinations, or simply entertaining friends and family at the dock in Croatian islands. This purebred power cats are designed and manufactured at Sino Eagle factory in cooperation with J&J Design and MarineMax – all highly experienced boat developers and charter industry veterans. The expanding Aquila range currently consists of the Aquila 36, Aquila 44 and Aquila 48. It all began in 2012 through an international partnership between Lex Raas who is a former Moorings/Sunsail CEO, MarineMax, the world largest Motor Yacht dealer with also a charter operation MarineMax Vacations, as well as J & J Design and their development arm, Seaway, well known Slovenian company represented by Jakopin brothers who have worked on designs for brands like Azimut, Bavaria, Beneteau, Dufour, Jeanneau, Monte Carlo and many more. Their expertise and breadth of experience in advanced yacht building practices, with full in-house manufacturing capabilities created a power catamarans unlike any other in both the private and charter markets. Utilizing the true power boat systems, the structure of this power cats is fully resin infused with vinyl ester resin, balsa core in hull is completely sealed between blocks and all structural bulkheads are resin infused. But you will not notice superb construction when you get on board of these beautiful ‘cats’. If you get on-board Aquila 48 you will see central hand hold on transom steps, you will easily access to fly bridge from inside saloon, and there is a fully integrated inside steering position and fully finished headliner with wood trim and accent lighting. Aft deck steps are designed for convenience and comfort when boarding and also sitting for relaxation. All edges are laminated and soft round curves while door frames are trimmed with laminated wood. There is also excellent storage all round. The Aquila European Launch actually happened at ICE 2017 where Aquila was introduced to fleet operators and charter brokers from all over the world with an incredibly positive feedback and a lot of interest. Master Yachting first realized the trend for power catamarans and took on the exclusive distribution of Aquila for Germany, Austria, Switzerland, Croatia, Slovenia, Serbia, BiH and Montenegro. This company has a vast experience of 40 years in the yacht charter and yacht charter investment market especially with Lagoon sailing catamarans. They are happy to announce that, at Yachting Festival Cannes in September, the Aquila 44 will have its European premiere. This fully equipped luxury power catamaran will have four cabins plus 1 crew cabin and will be also available as owner version (three cabins) featuring the biggest owner cabin available on power catamarans this size. It’s price will be around 800.000 euro (depending on the equipment and inventory). From Cannes, Aquila 44 will continue its journey to nautical show in Genoa and Barcelona and finish its cruise at Biograd Boat Show. During a 55 hours, non-stop-full-speed-transfer, from Barcelona to Biograd the A44 will prove its endurance. Jens Schönberg, the Master Yachting Executive Sales Manager for Aquila, and Yvan Eymieu, the International Aquila Sales Director, as well as the CEO of Master Yachting, Franz Schillinger will be on board themselves for more than one month during this Aquila European launching cruise. 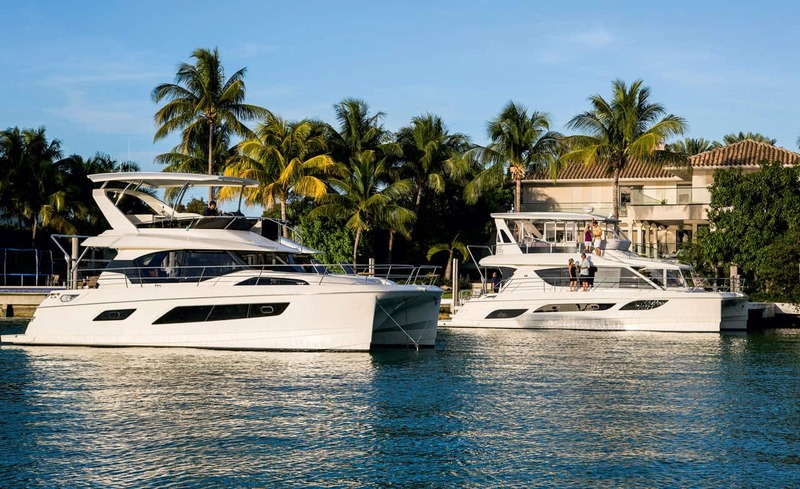 Before, between and after these boat shows Aquila and Master Yachting will do sea trials with editors and journalists of the most important European yacht magazines as well as with potential buyers and yacht investors. The arrival at Biograd Boat Show will definitely be the highlight of this entire event and will magnetize professionals as well potential clients out of the yachting scene. The Aquila 44 will end up at a luxury fleet charter operator in Croatia, available for yachtsmen, their families and friends for charter in the Adriatic Sea. Biograd Boat Show is an excellent opportunity to meet this true pure-bred power catamaran distinguished by uncompromising design briefs, coupled with advanced industry experience, engineering and manufacturing by world class builders. But more then this, Aquila brings real news on pretty crowded charter market and an opportunity for investors to have a new ‘sweet spot’ in the charter catamarans for the season of 2019. Furthermore, during the Multihull Show in La Grande Motte it was announced that the Aquila 36 was elected the Power Multihull of the Year 2018.